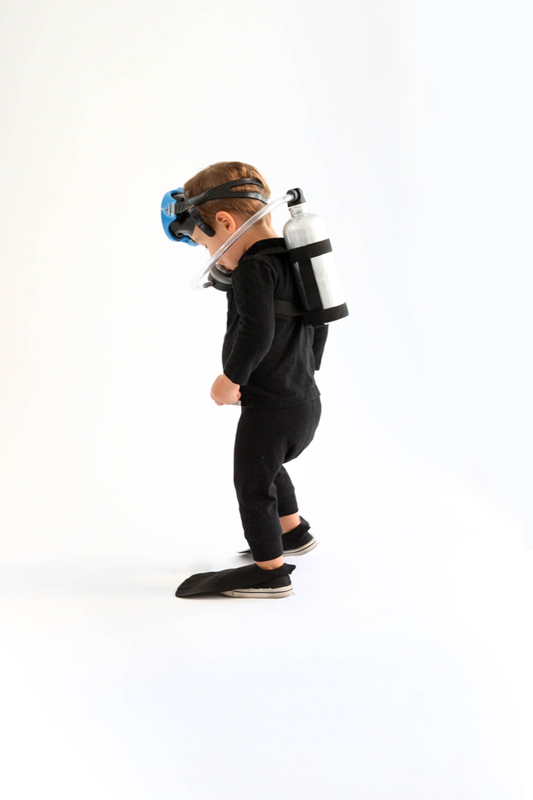 This costume is one of my favorites for toddlers. My friends Michelle and Jared came up with this concept and they let me share it here. 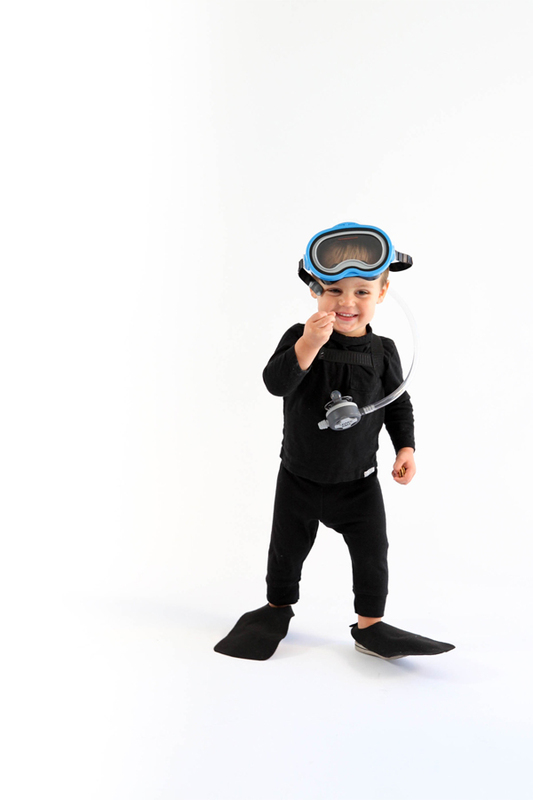 The cutest part is they attached a pacifier so the toddler walks around in full scuba gear. See the full instructions below! Jared is a product designer and has access to a 3D printer to make the nozzle. They generously shared the template so if you don’t have your own printer you can take it to somewhere that does and pay to have it made. 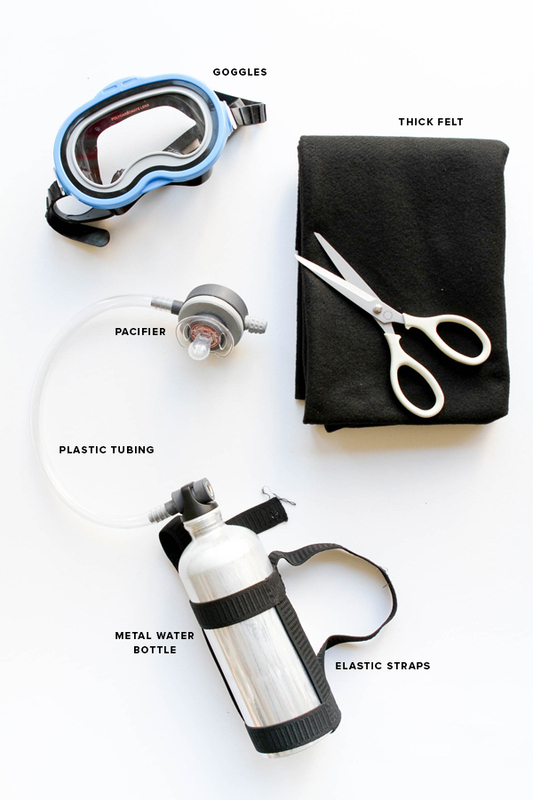 Step 1: Sew strips of elastic together to make a holster for the water bottle. Make sure the straps extend over the shoulders and attach in the front. Step 2: Using the regulator template, attach the tubing through the top of the water bottle to the pacifier base on the opposite end. 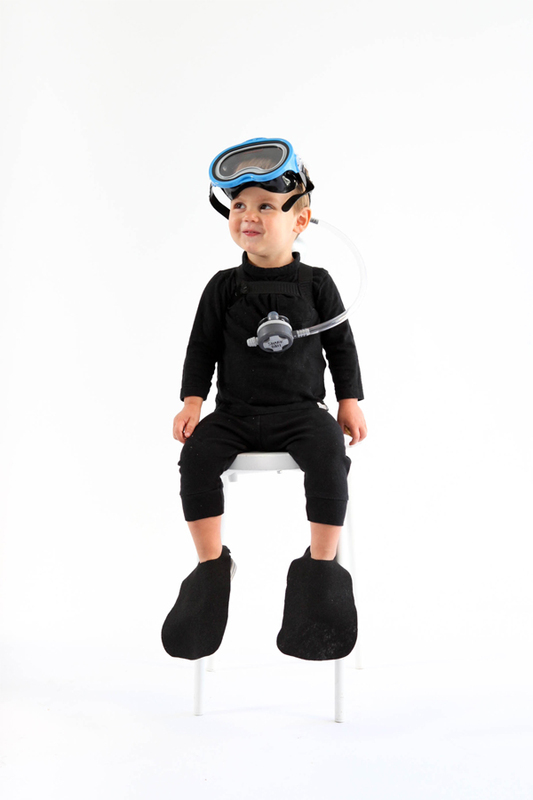 Step 4: Top off with a pair of goggles! Utterly butterly brilliant. Now I just need to borrow a toddler. I’m dying of a cute attack!!! This is adorable. 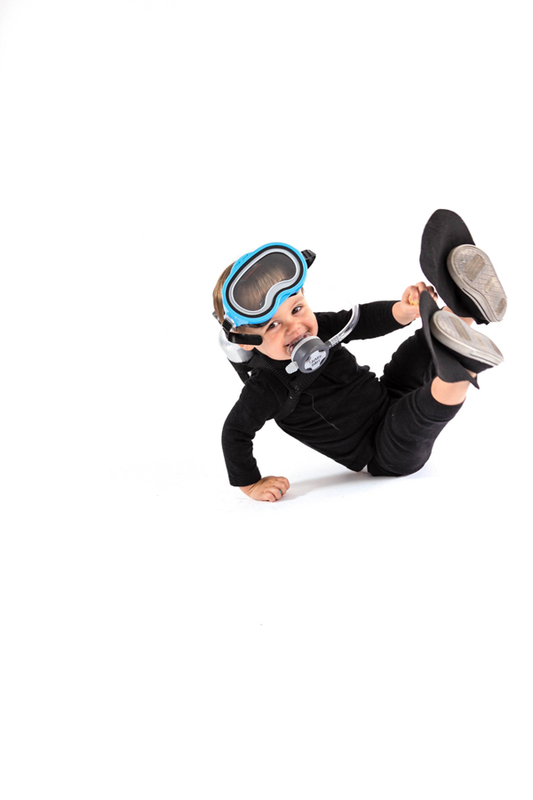 I think we need to be a scuba family! Adorable!! And super easy!!! Great idea!!! Does anyone have any idea how much it costs to have regulator printed? Thanks! so cute.. what a great idea!